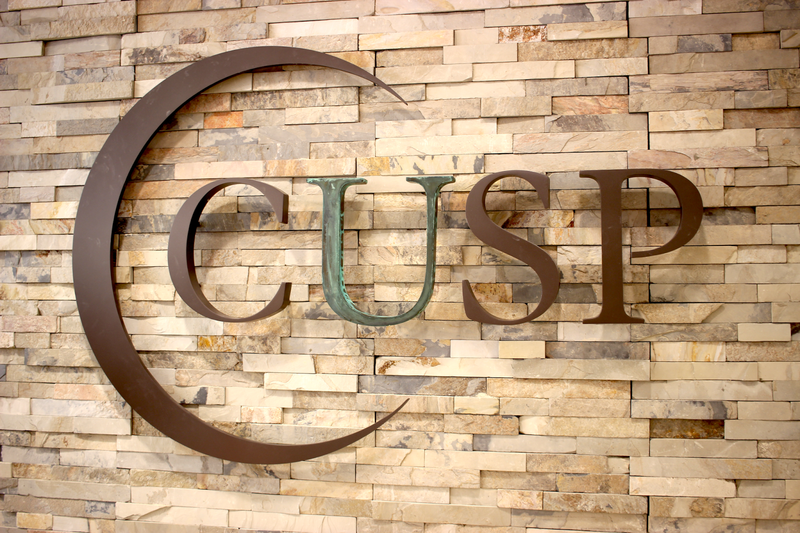 A few weeks ago I got to attend a CUSP by Neiman Marcus event all about the summer style trends. 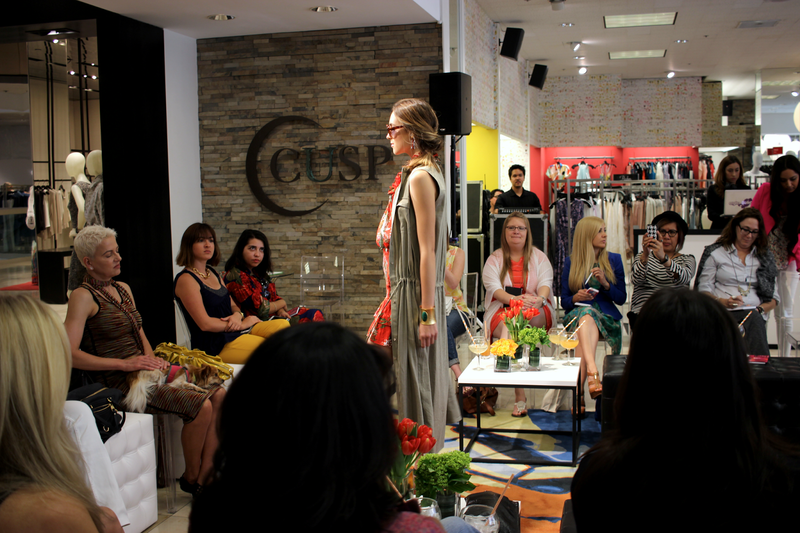 The event was hosted by four style experts: Kelly Thomas, NM CUSP Buyer; Gillian Flynn, Editor of Riviera Magazine; Mahjuba Levine, personal stylist; and Alex Yanez, style advisor. The models wore everything from bright tropical prints, to versatile pieces that the everyday woman can wear. Here are a few shots of some of the outfits that were styled by Alex Yanez. This particular look reminded me of a jet setting woman ready for her lavish vacation in Playa del Carmen. I'm normally not a fan of loud prints, but the oversized vest definitely tones things down for me. Black and white never goes out of style, it's a known fact. 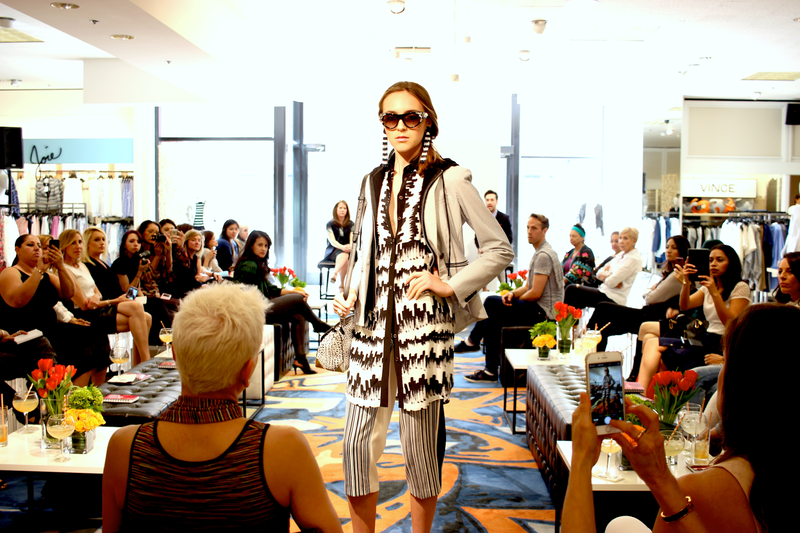 To give this timeless trend a new spin, Alex chose to mix black and white prints. Again, none of these prints are necessarily something I could go for but I do see how it gives a fun twist to two very basic colors. A piece that I really loved is the white jacket that the model is wearing. I appears that the model is wearing a hoodie and a jacket, but it's just one piece. I loved how versatile the jacket looked, it would be something that can easily be worn in fall and winter as well. Who says you can't wear white before or after Labor Day? The last looks of the day featured all-white ensembles with gold or silver jewelry. My favorite outfit was the one with the blazer used as a cape. You all know how much I love a more structured and androgynous look. Which was your favorite outfit? Let me know in the comments below.